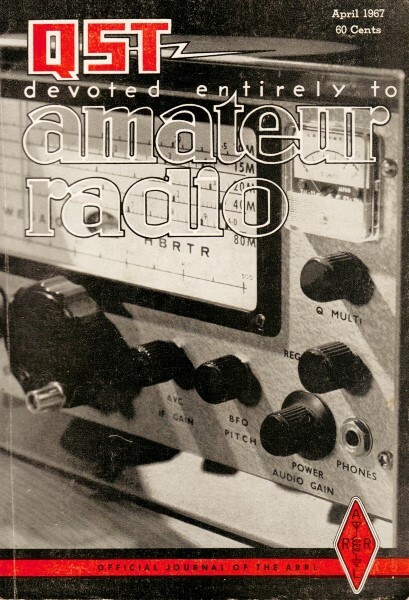 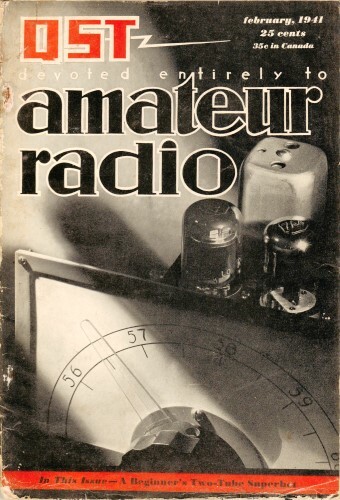 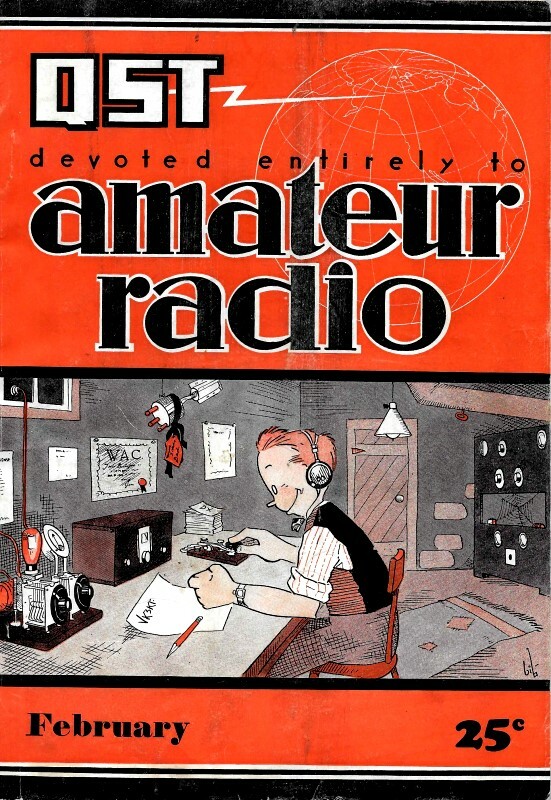 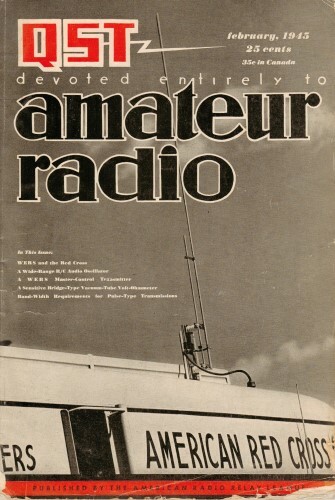 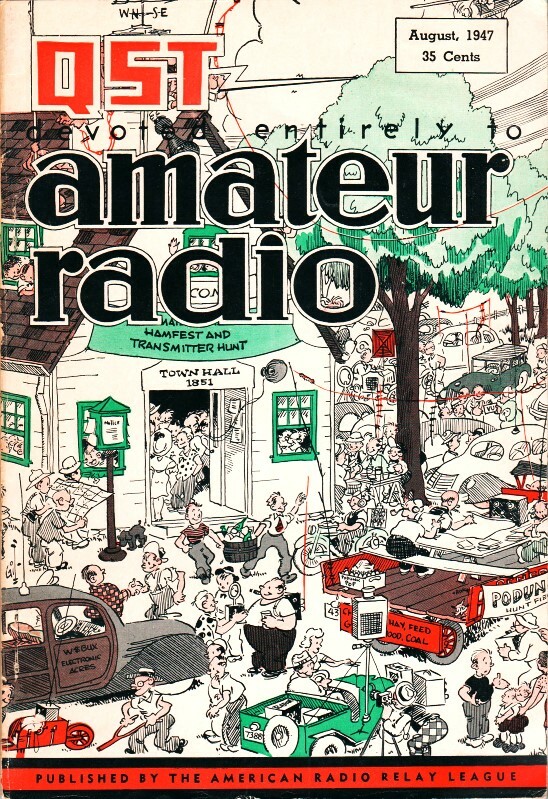 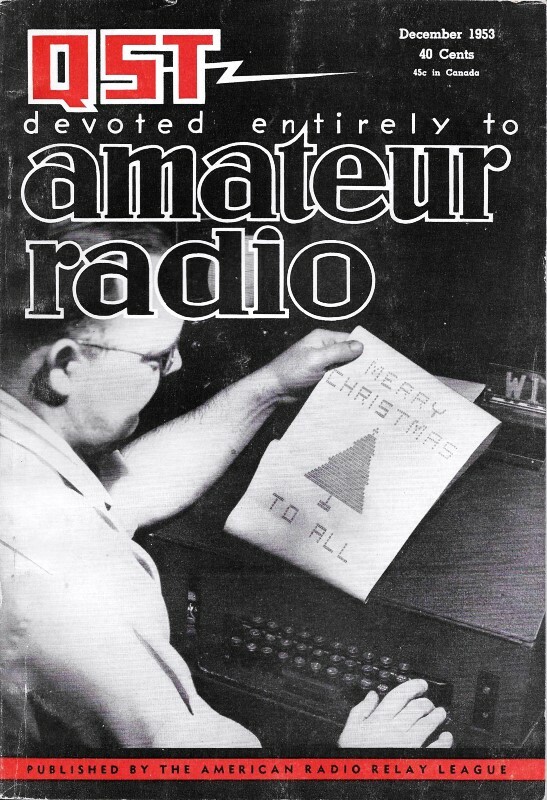 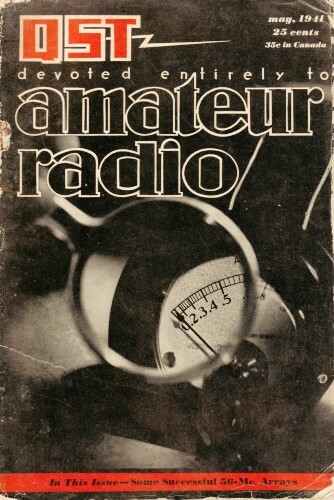 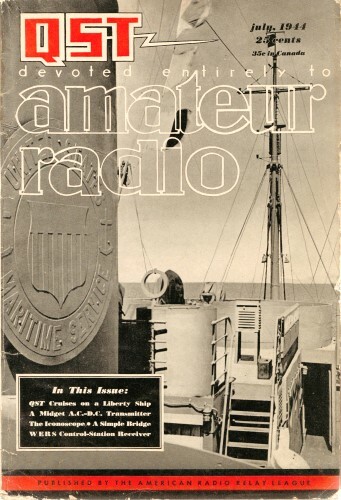 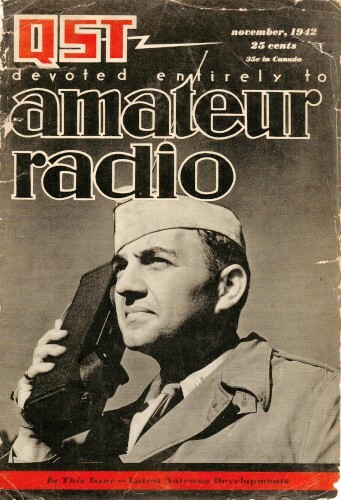 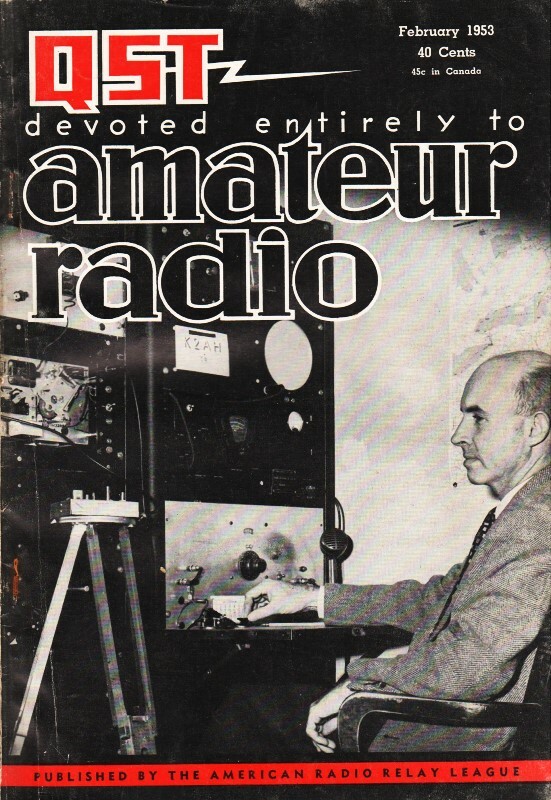 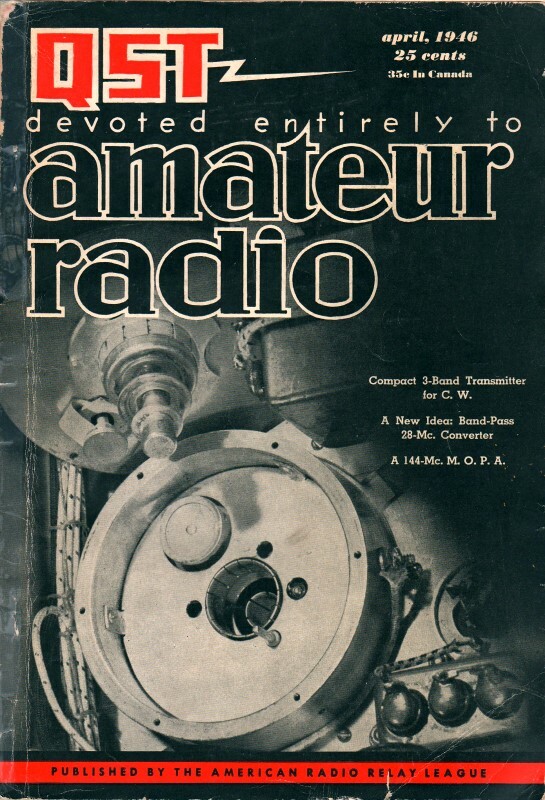 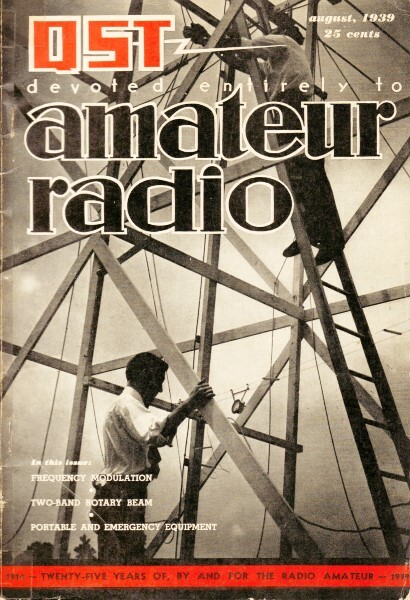 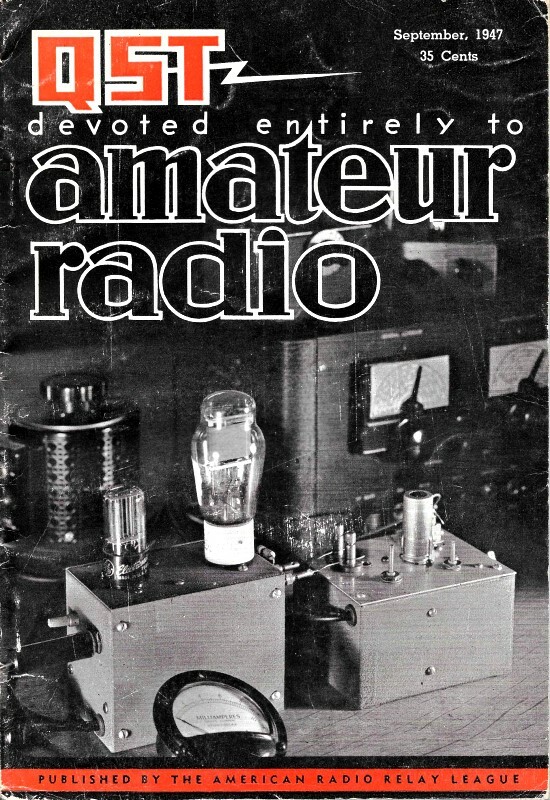 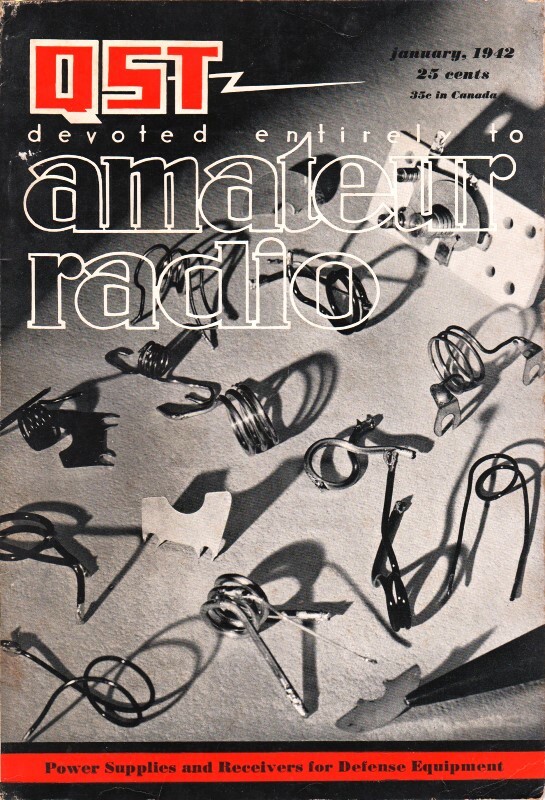 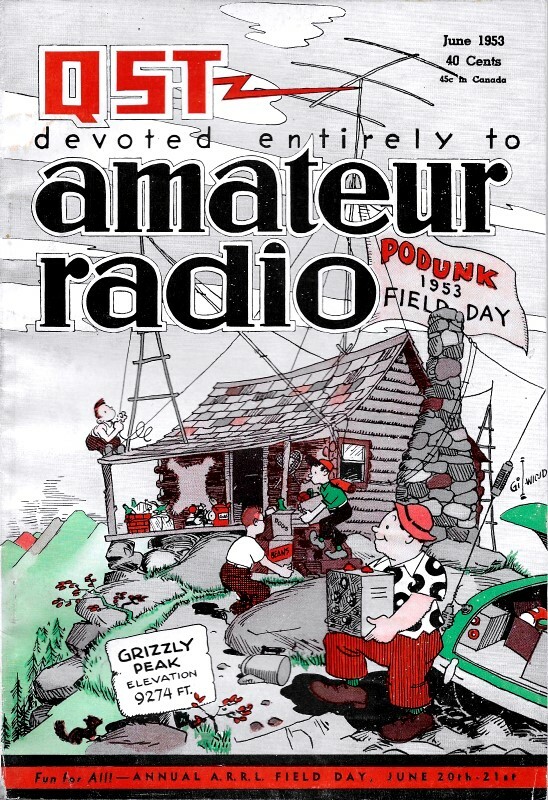 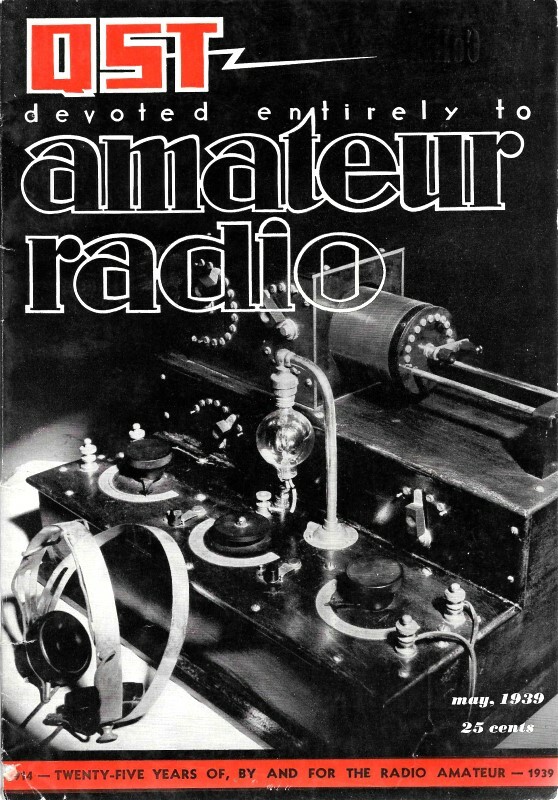 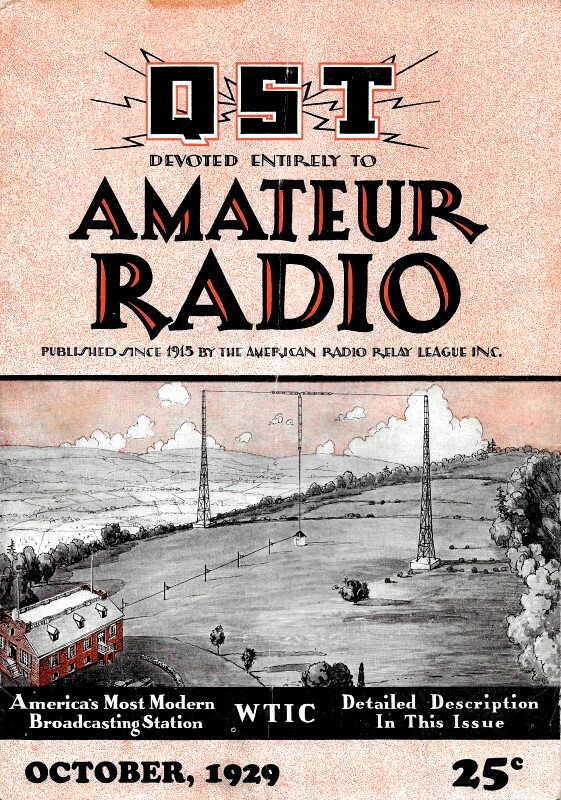 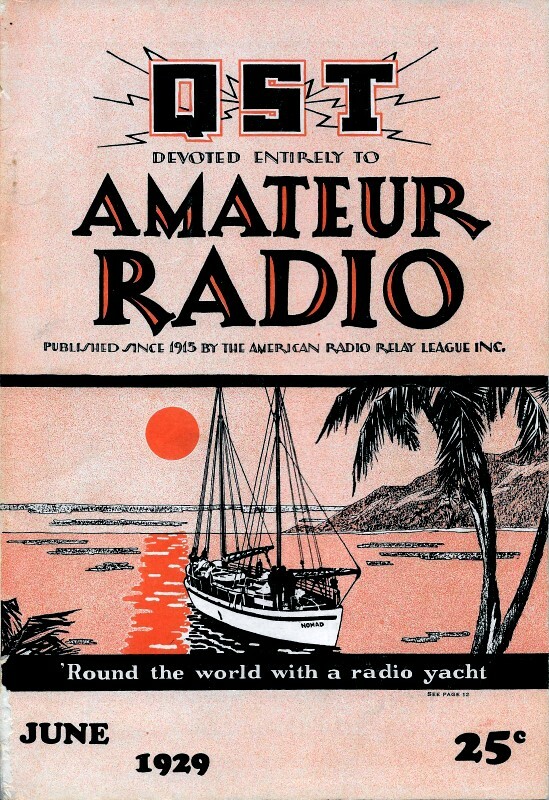 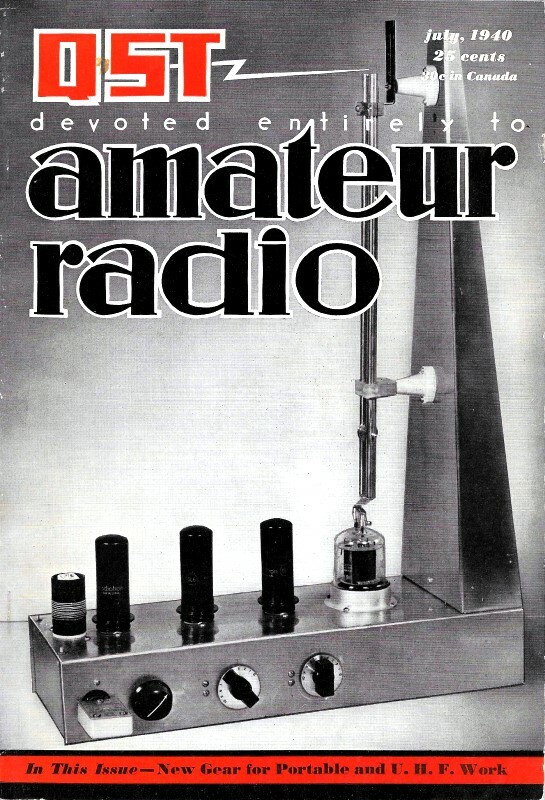 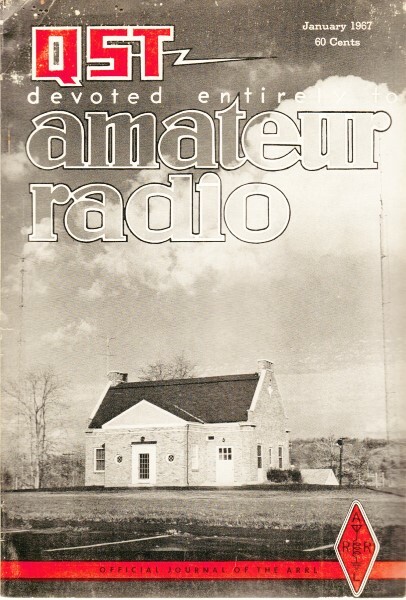 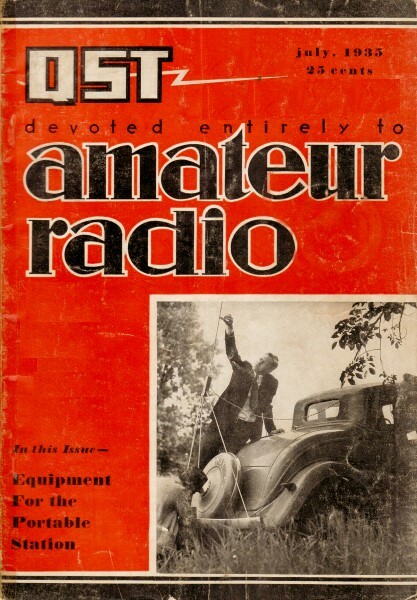 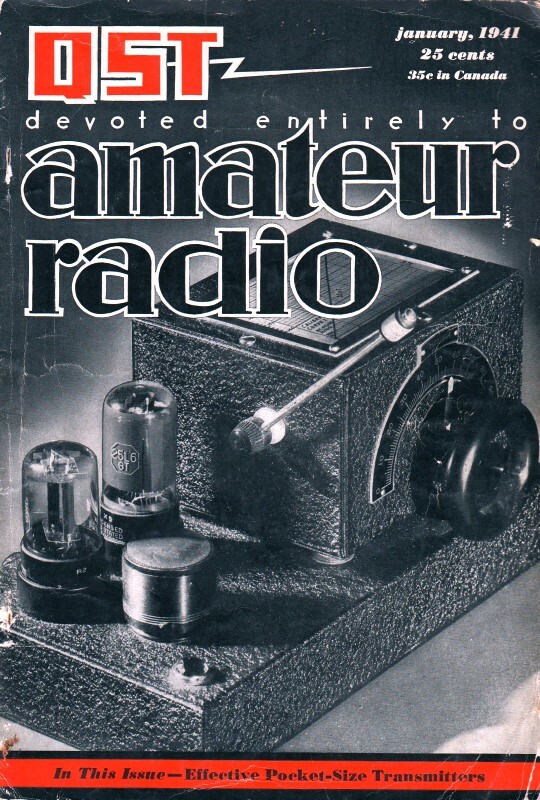 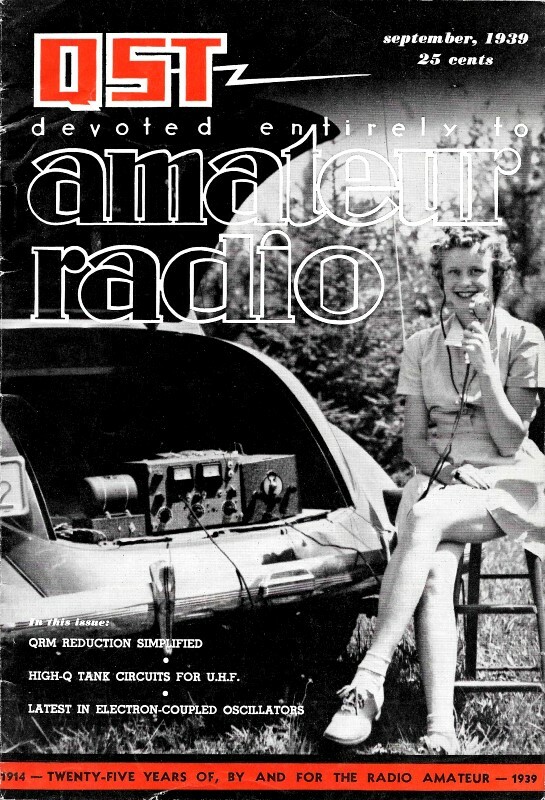 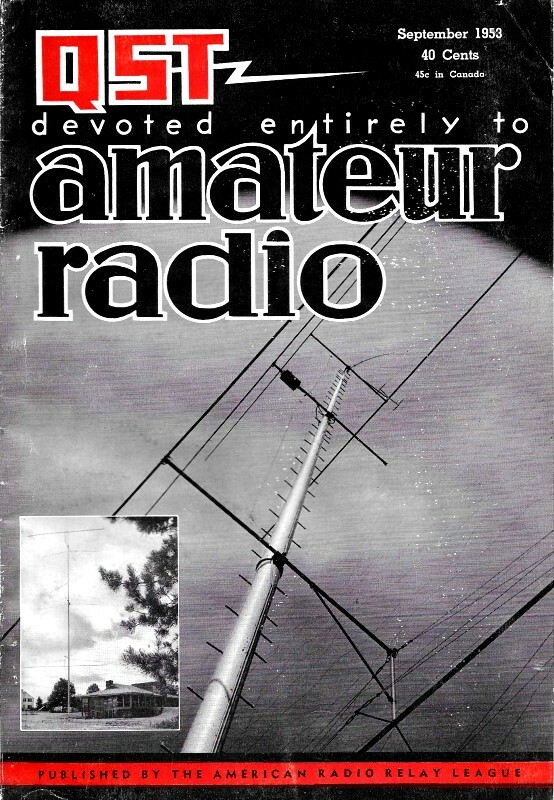 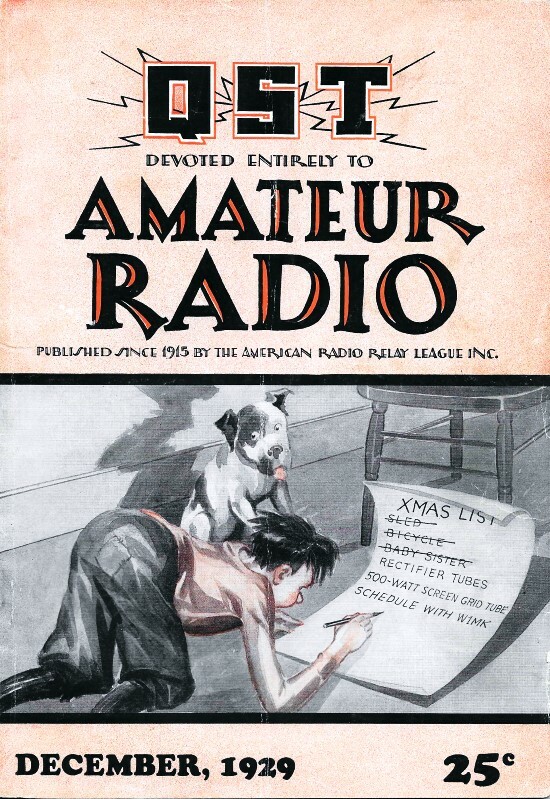 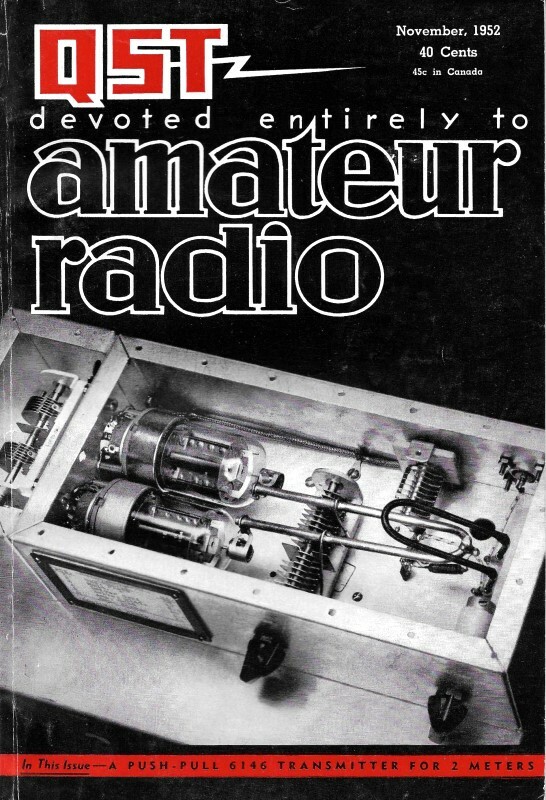 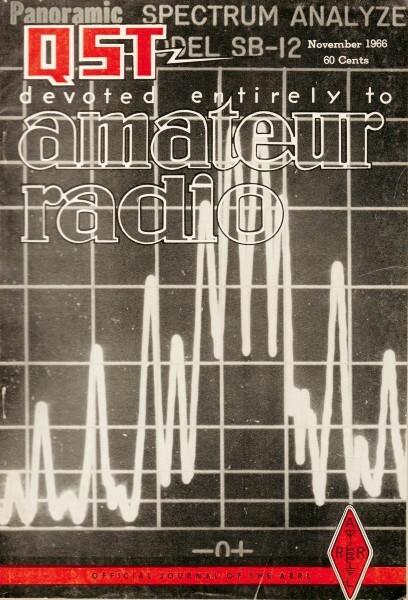 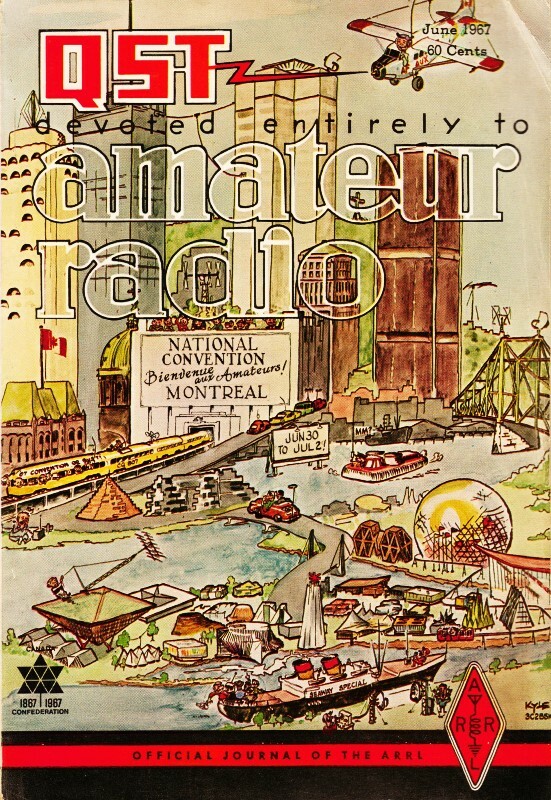 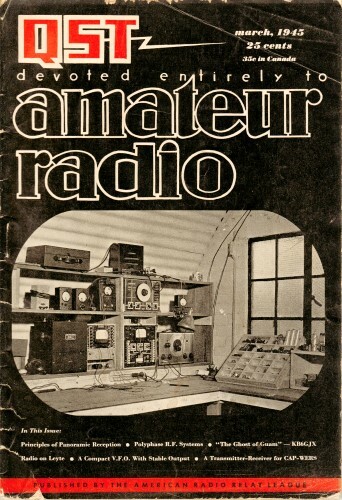 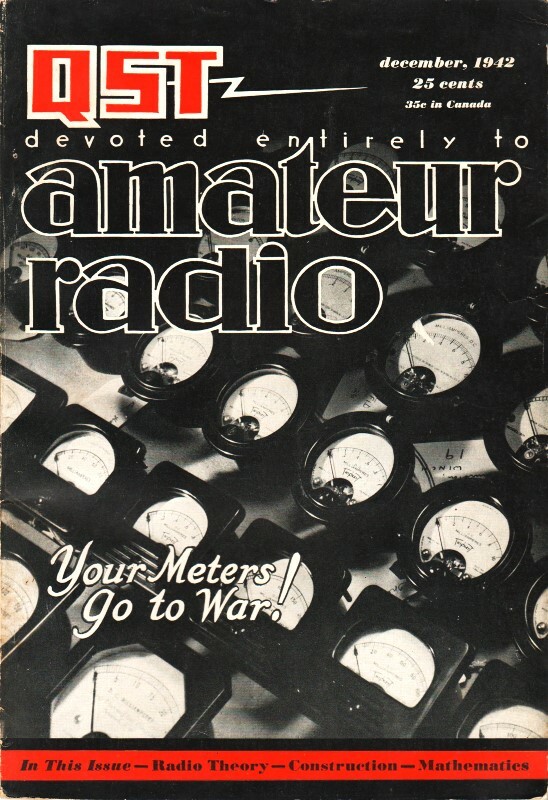 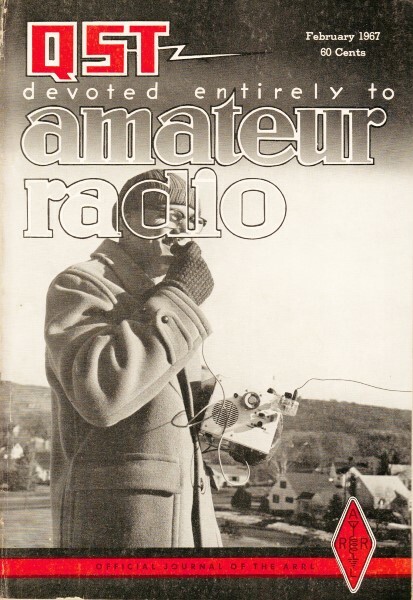 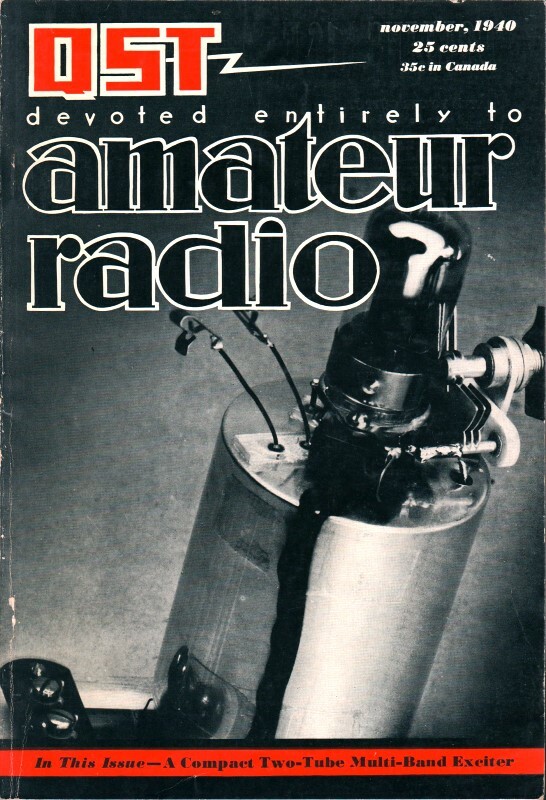 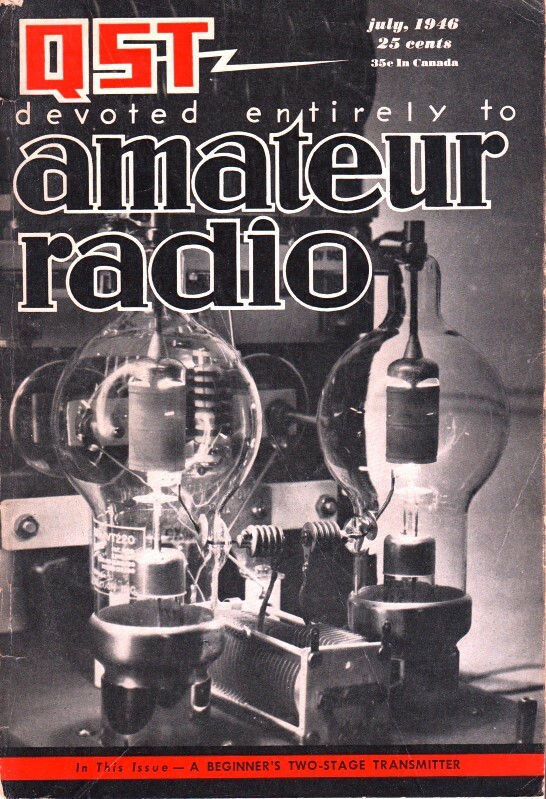 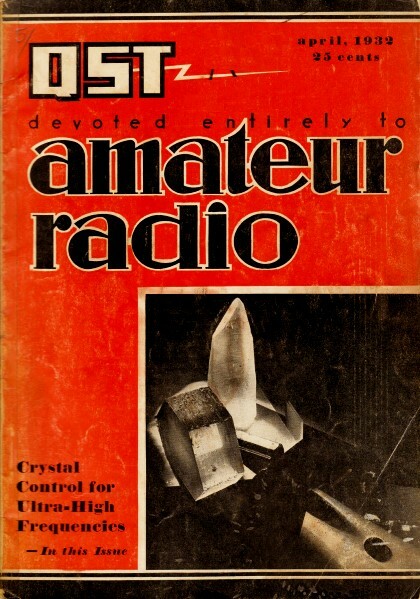 NOTE: The ARRL provides a complete digital archive of every QST from 1915 to the most edition. 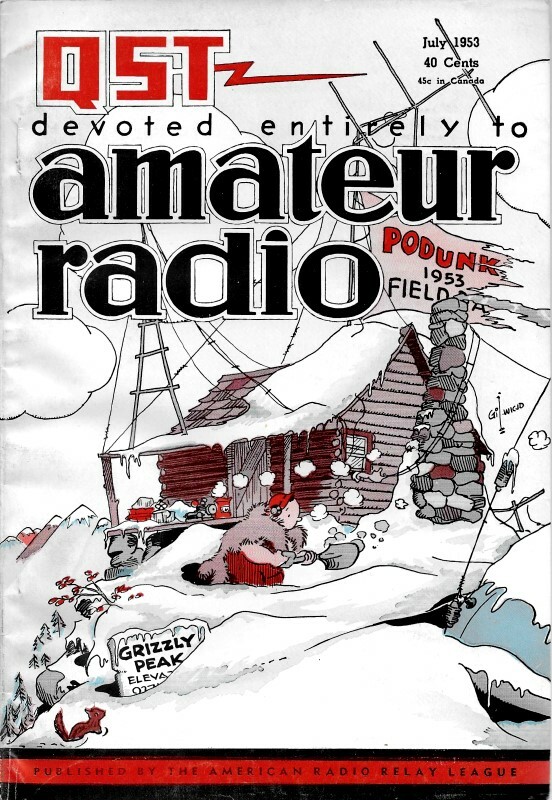 Access is free to ARRL members. 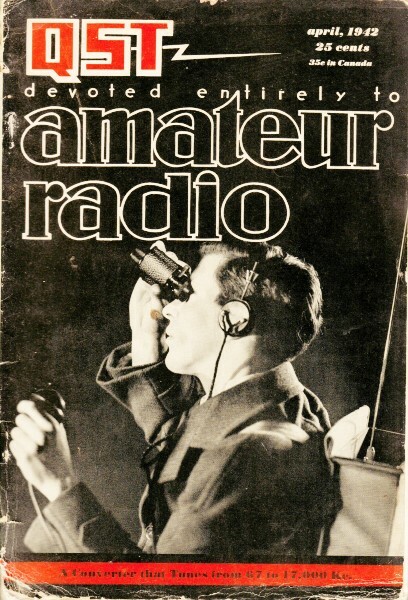 One unexpected discovery is that the average reader must have had better near vision eyesight than today because the print size was very tiny. 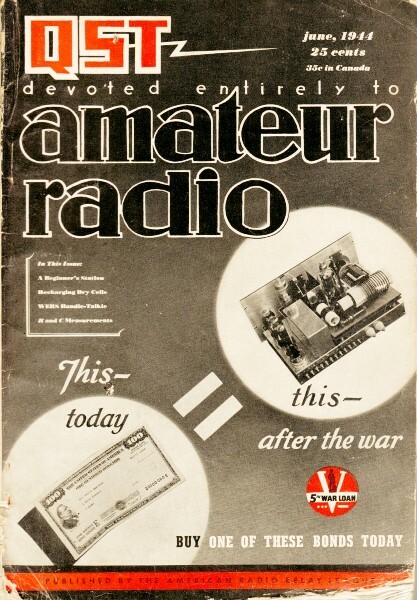 Even as recently as 1943, a large portion of people could not afford corrective lenses so unless either a reading magnifier was a staple of every household or it was common practice for the person with the best eyesight in the house to read QST aloud to the poorly sighted of the house, the only conclusion can be that the average citizen had better eyesight than today. 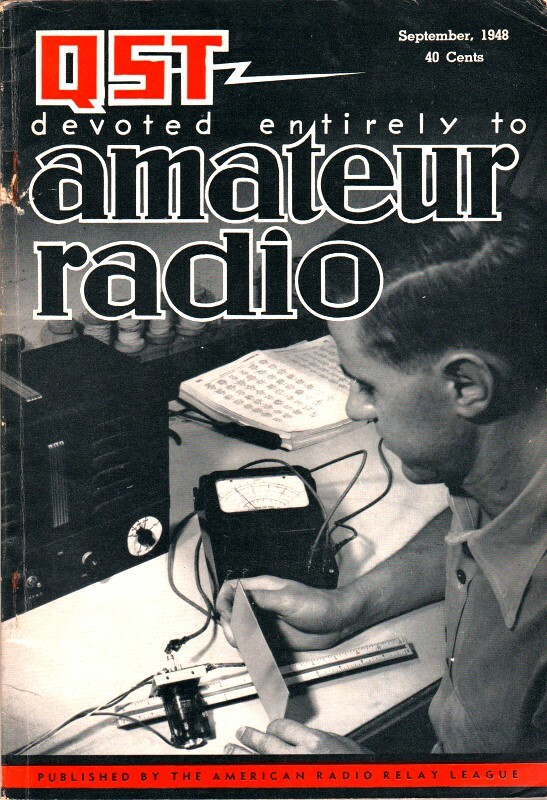 I write that only partly in jest; a search for scientific data to back my suspicion was not fruitful. 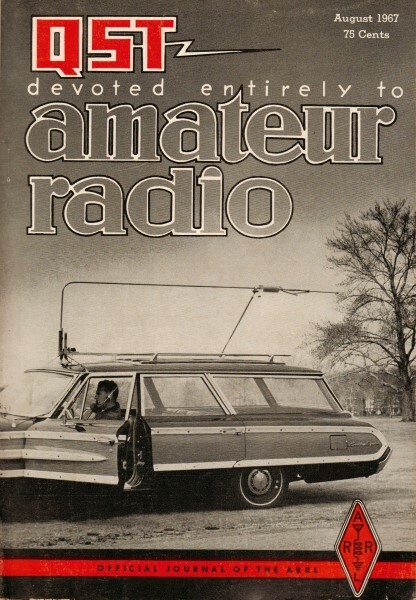 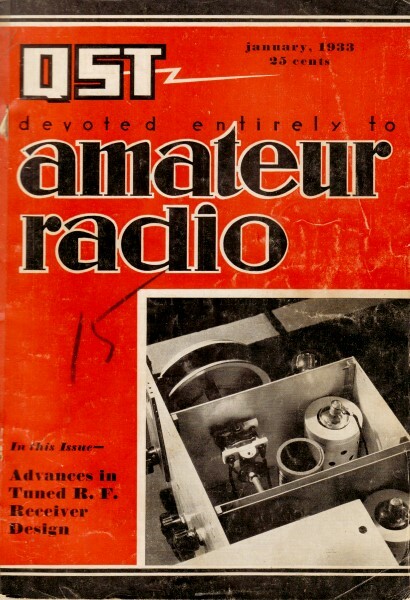 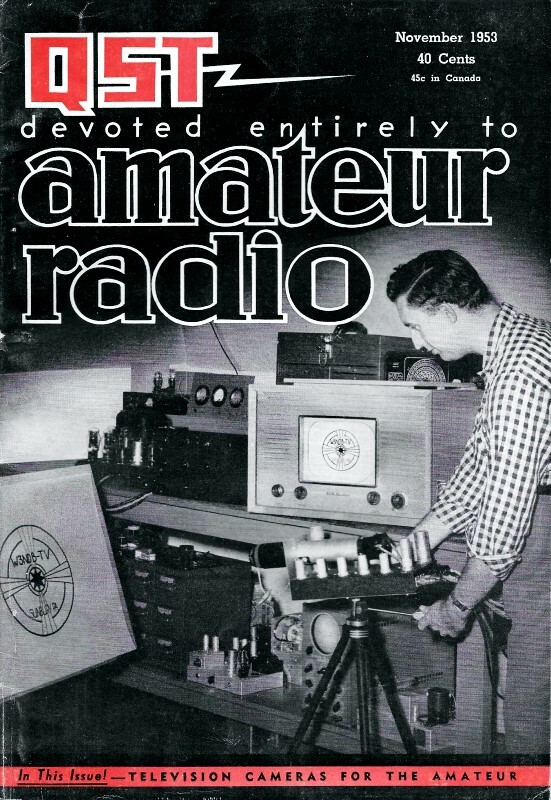 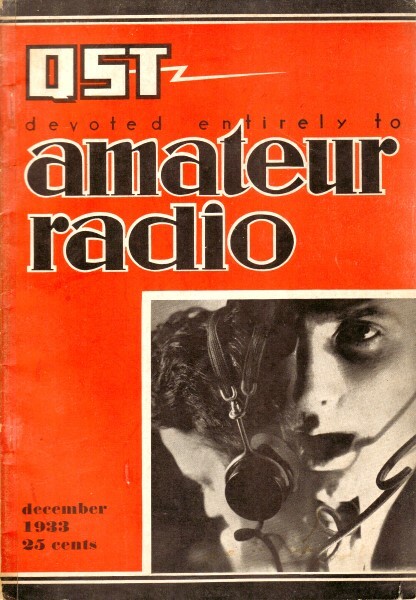 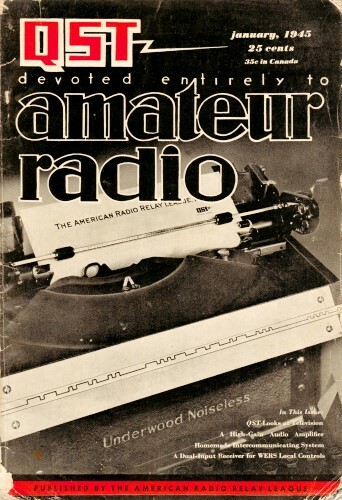 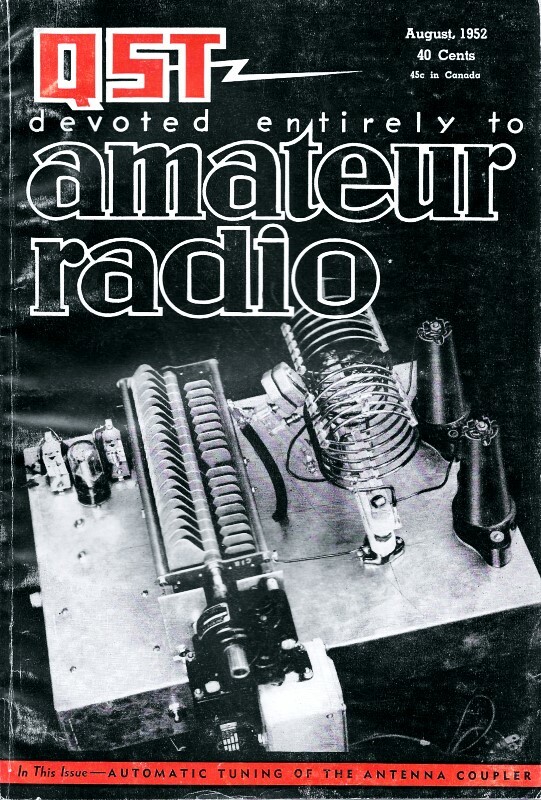 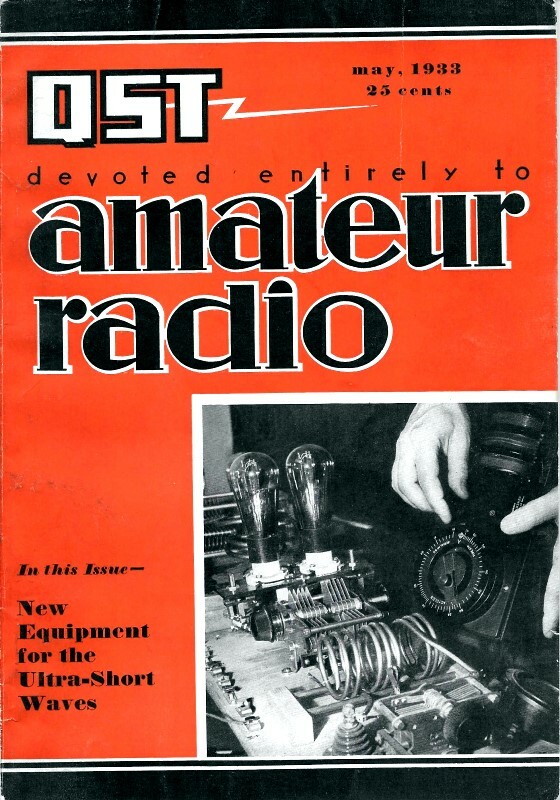 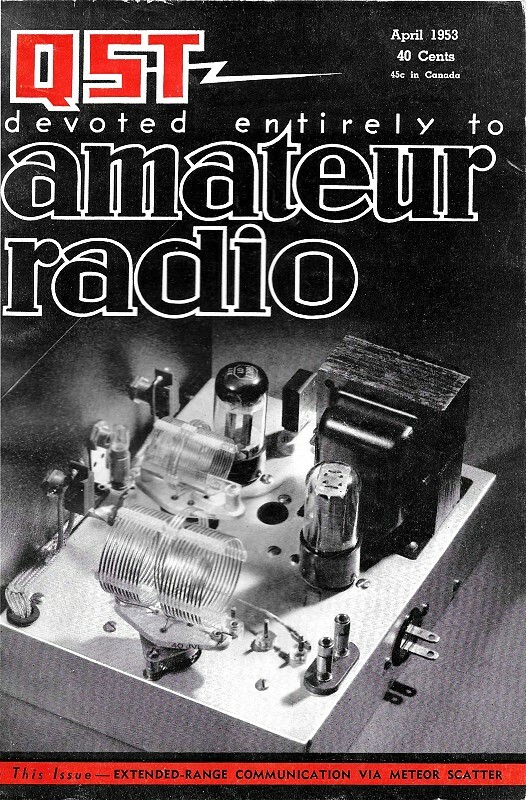 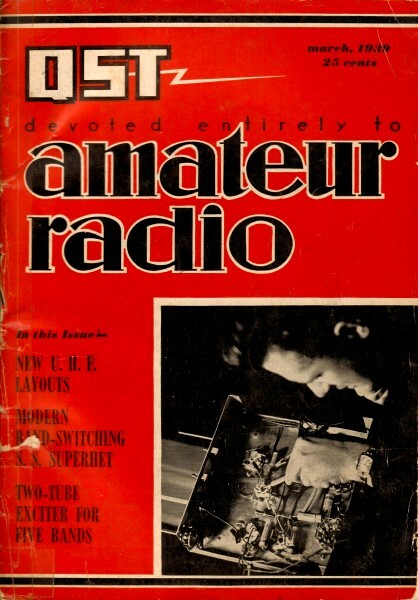 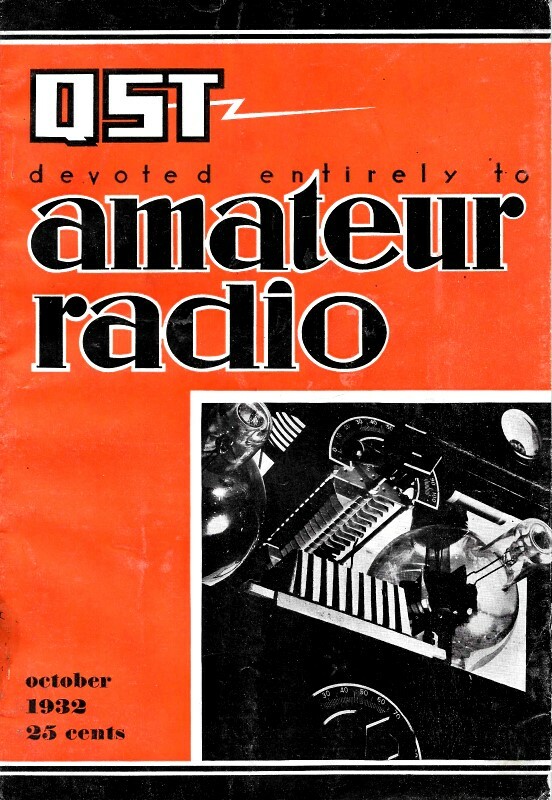 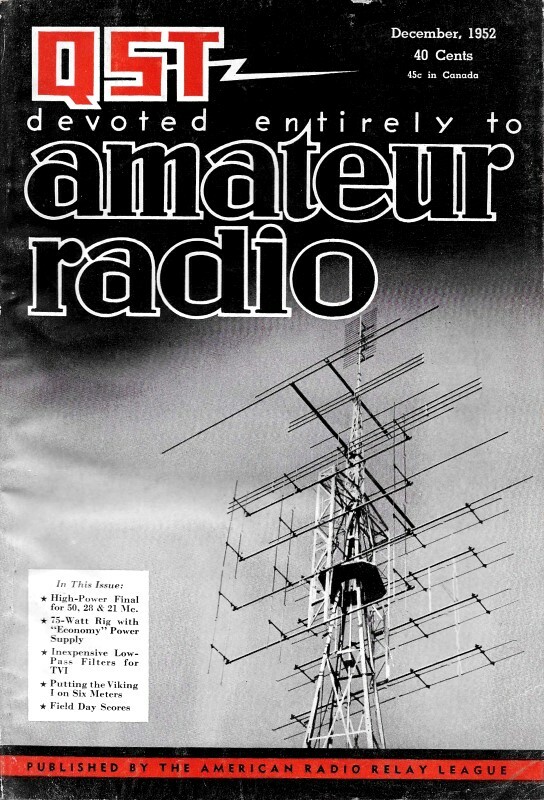 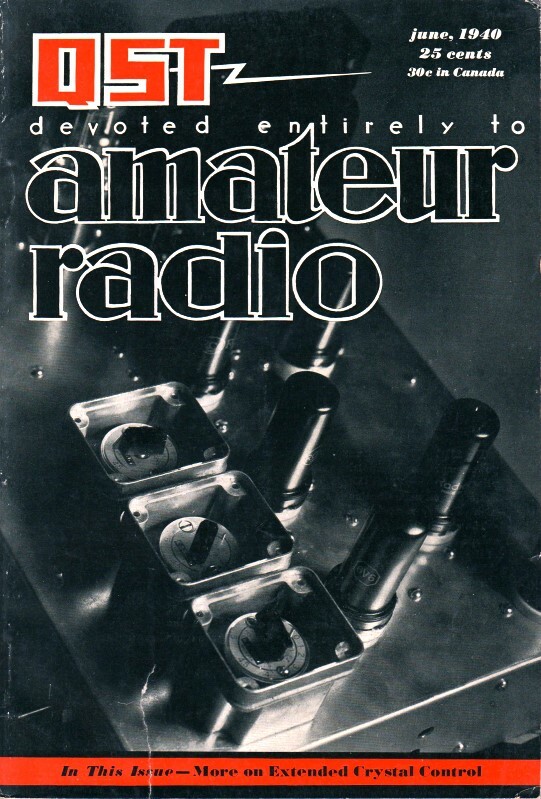 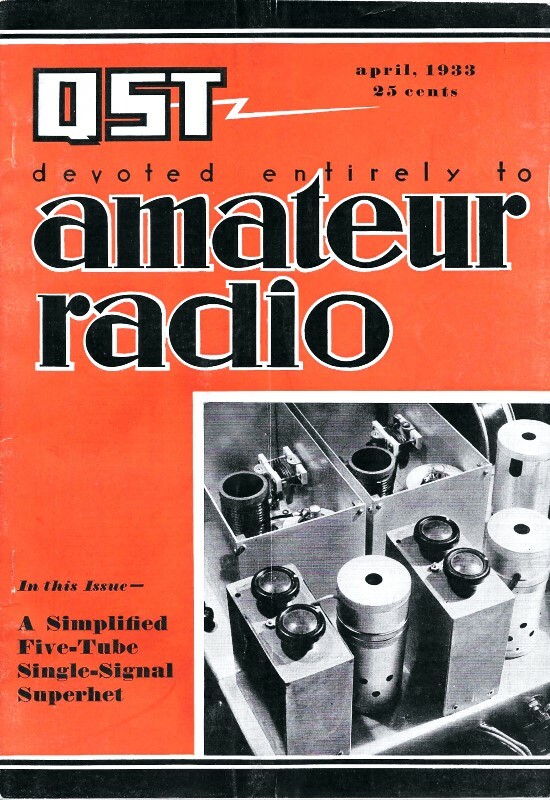 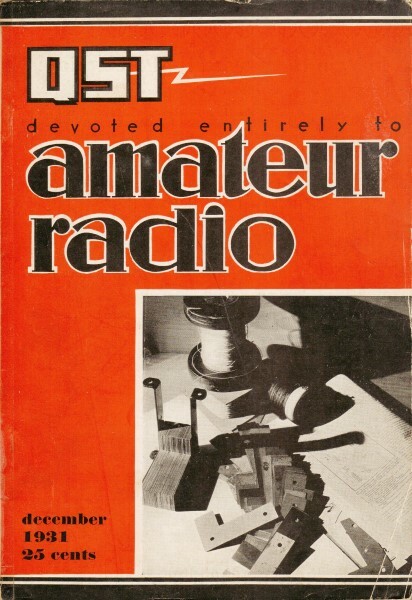 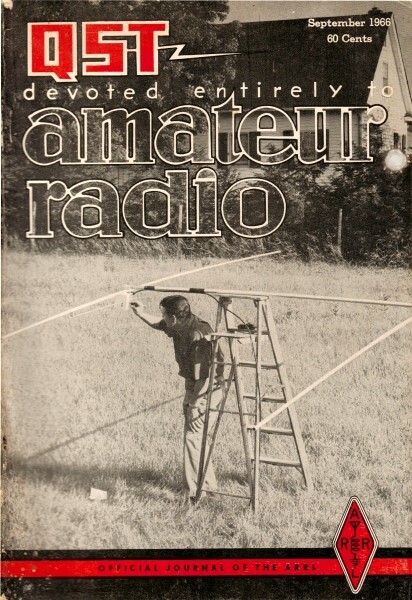 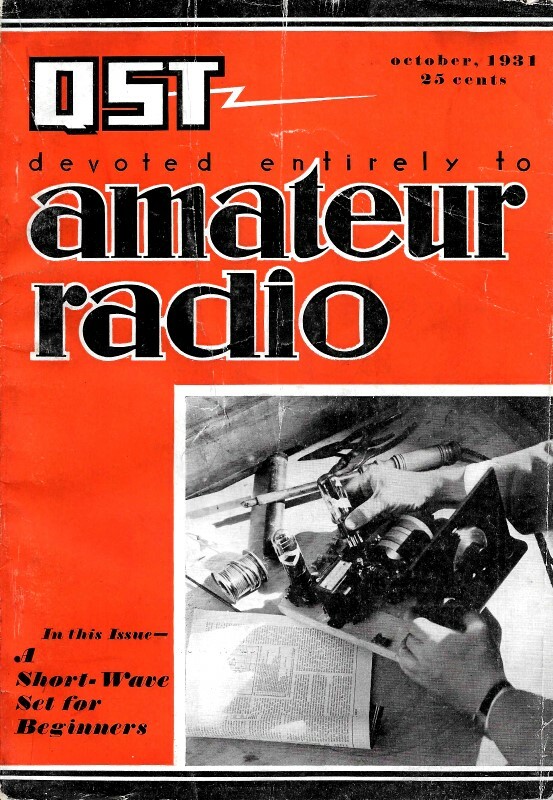 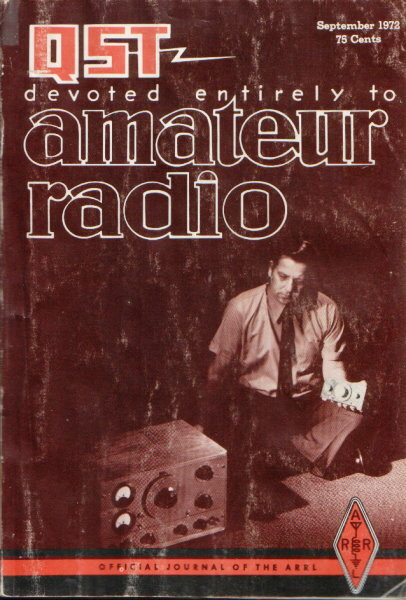 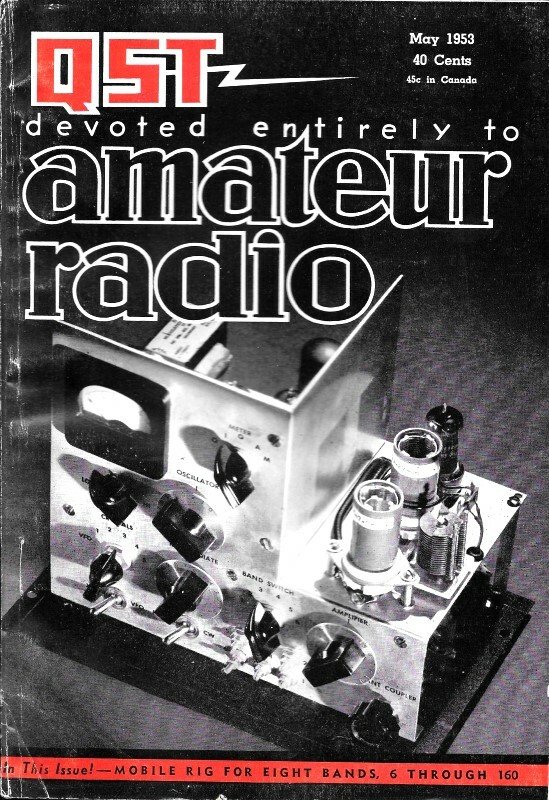 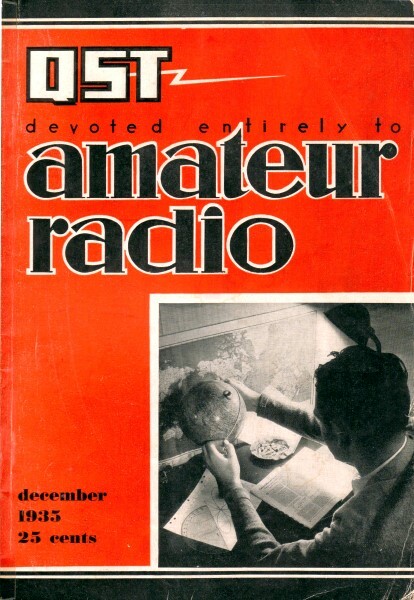 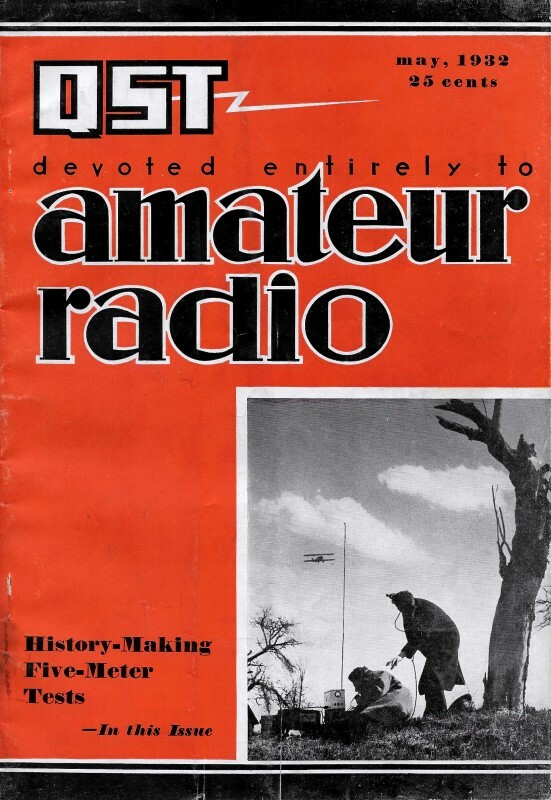 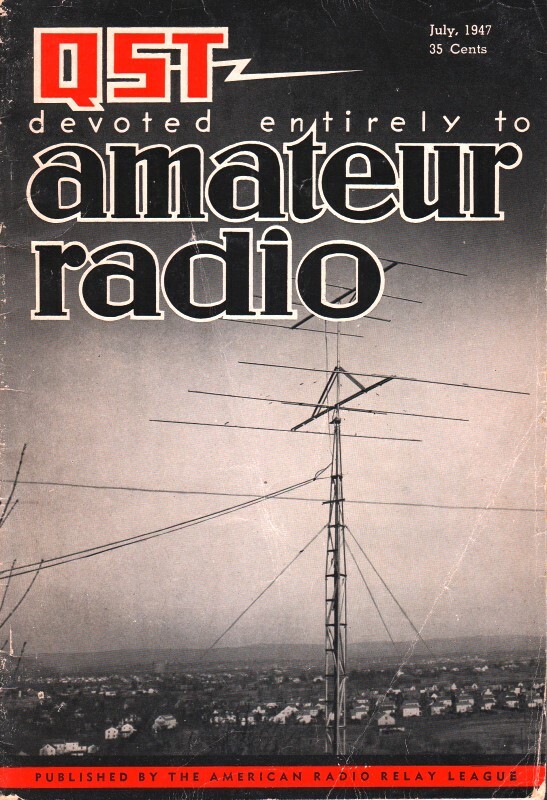 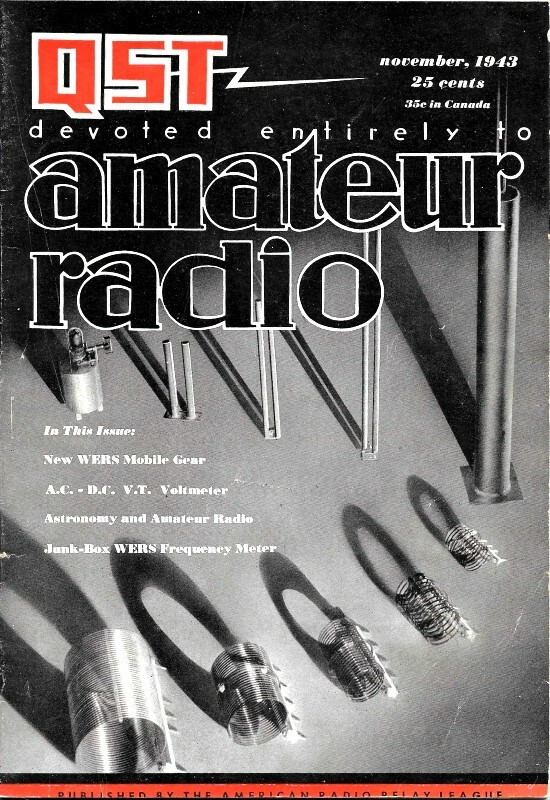 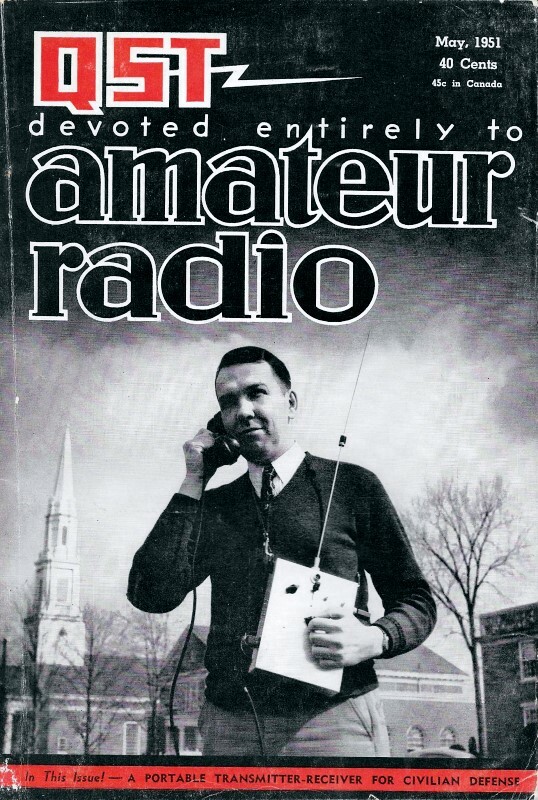 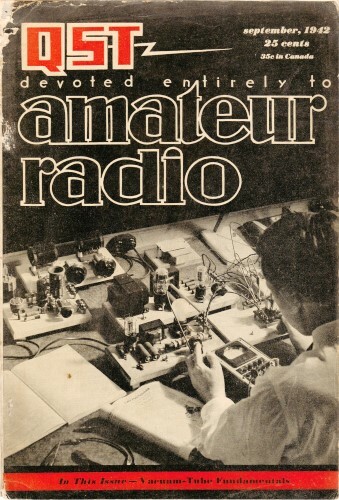 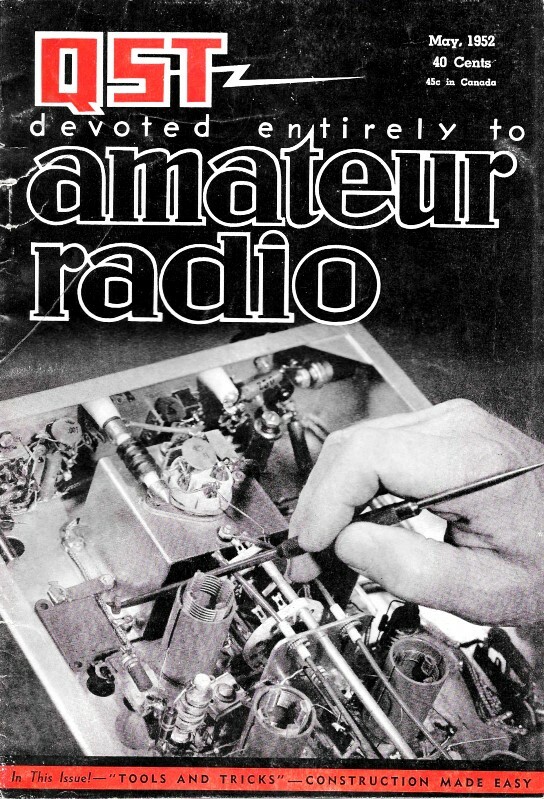 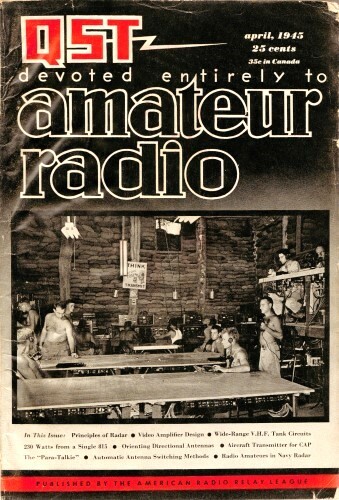 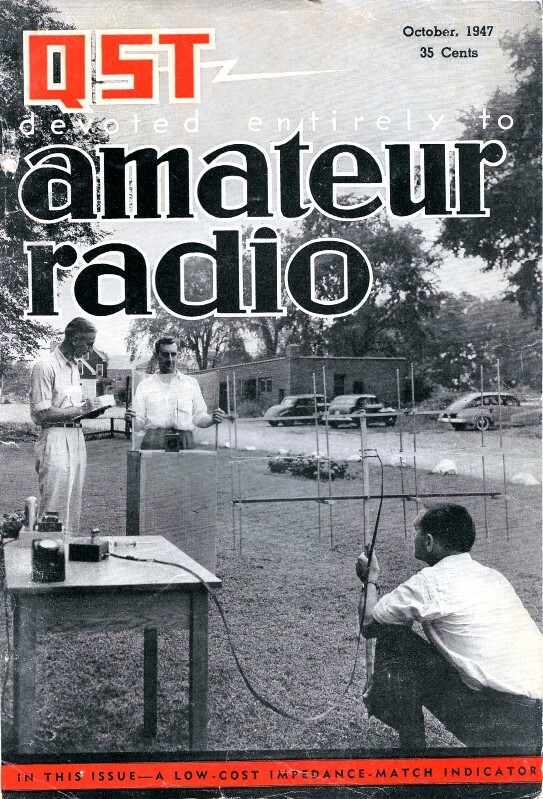 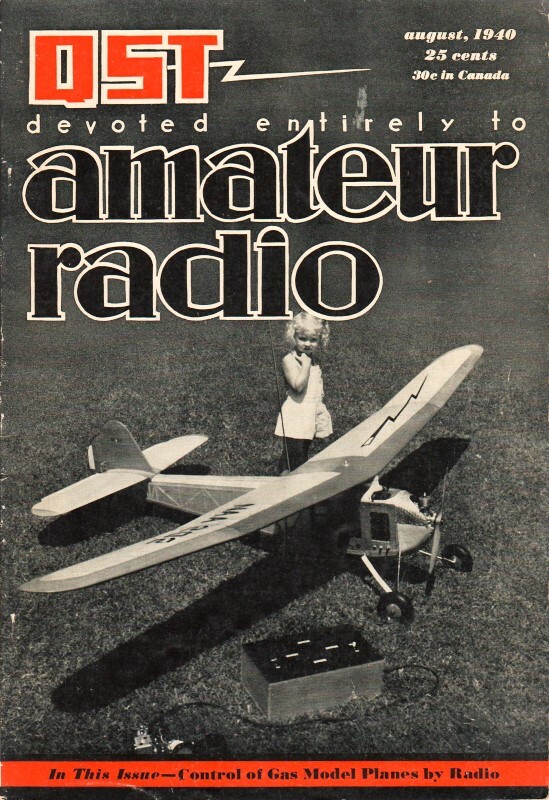 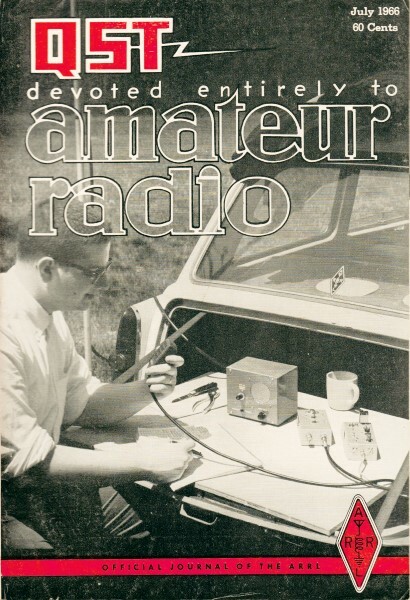 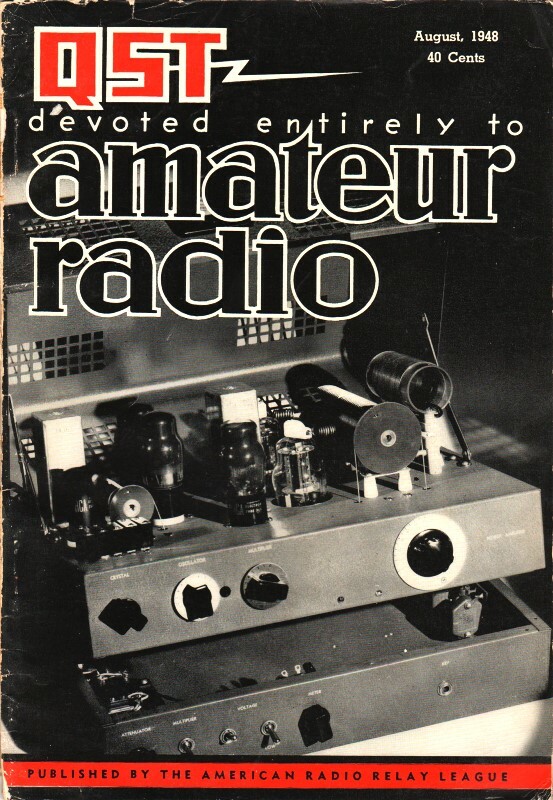 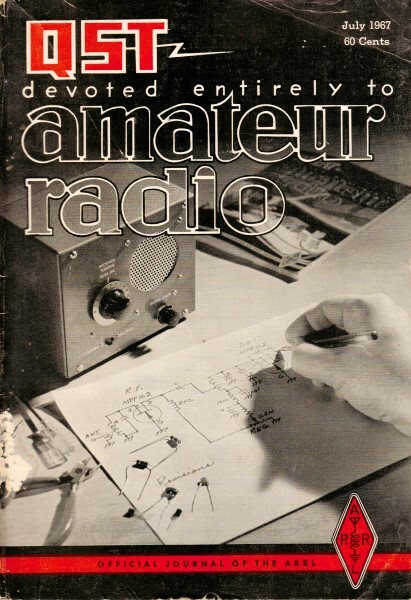 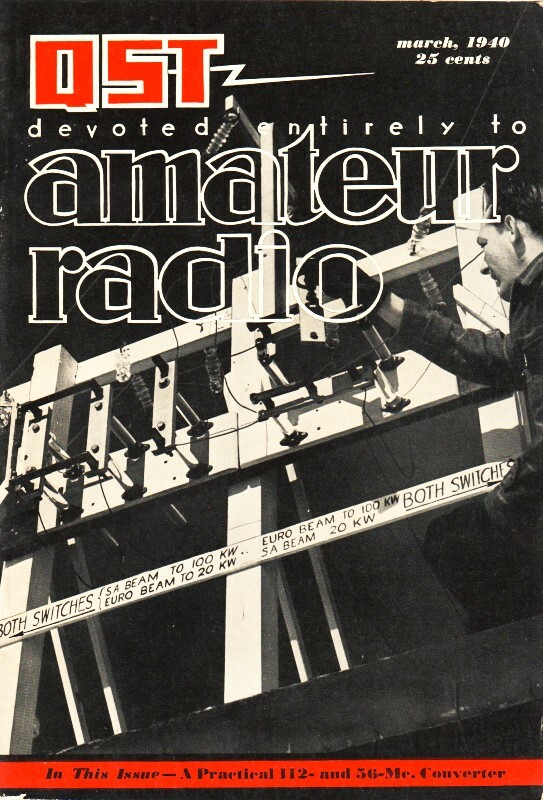 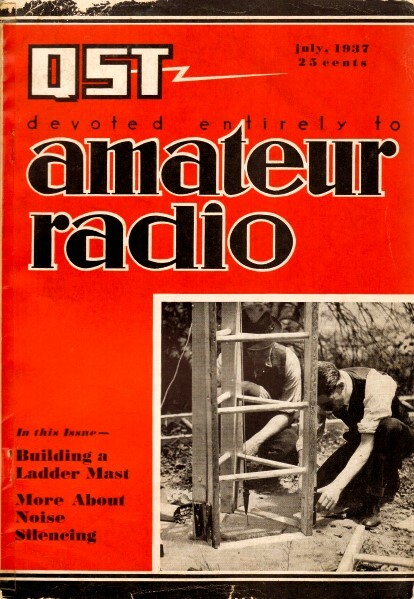 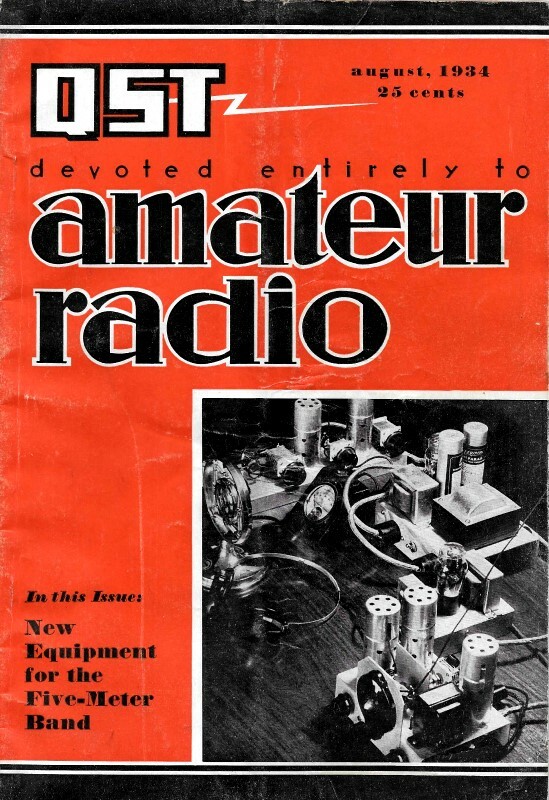 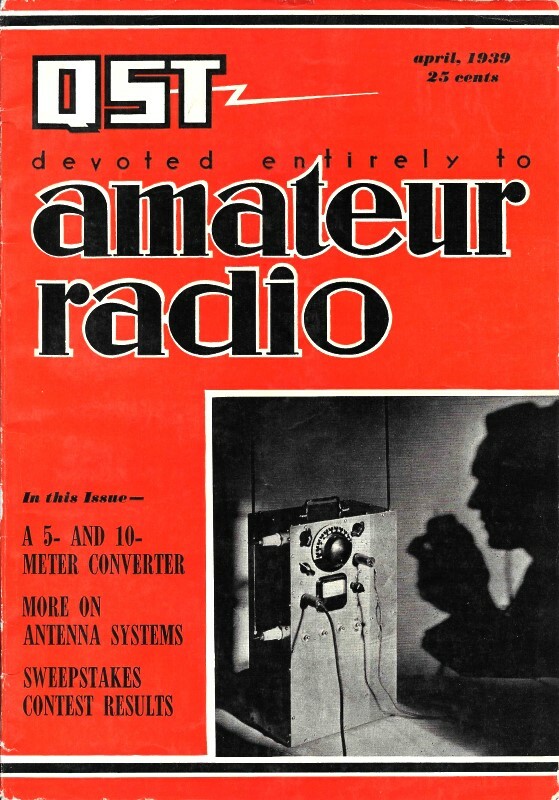 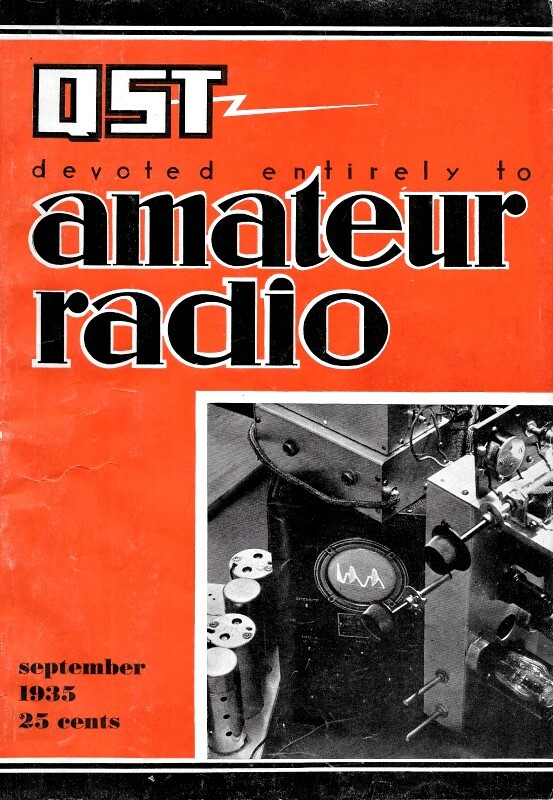 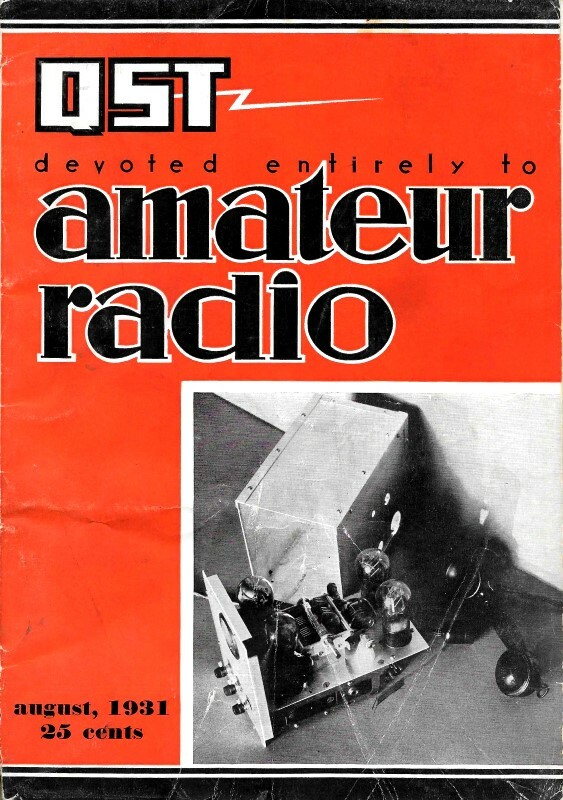 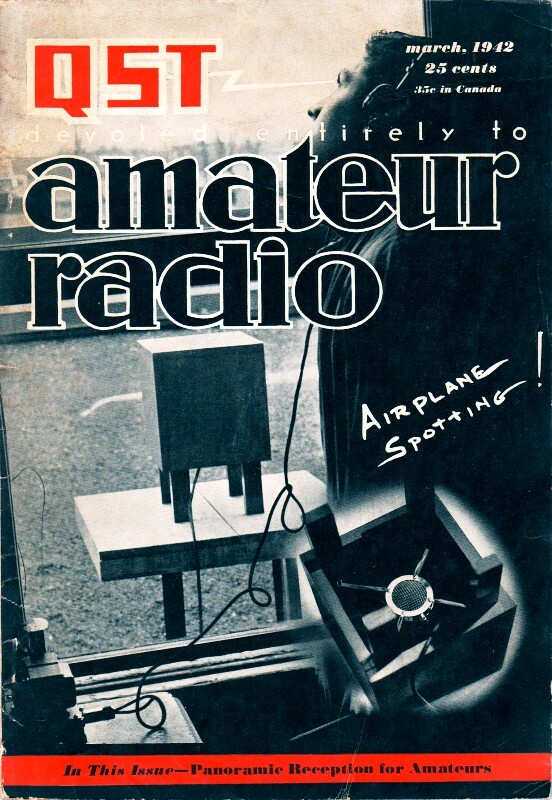 See response from Joe B.
I have written before about the incredible resource for RF engineers and hobbyists that is the ARRL's monthly publication, QST. 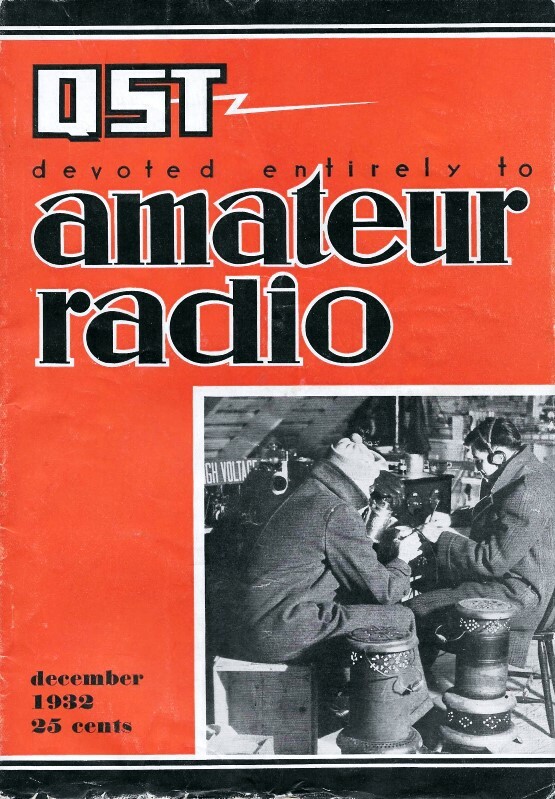 Since its first edition in December, 1915, the magazine has been chock full of useful information. 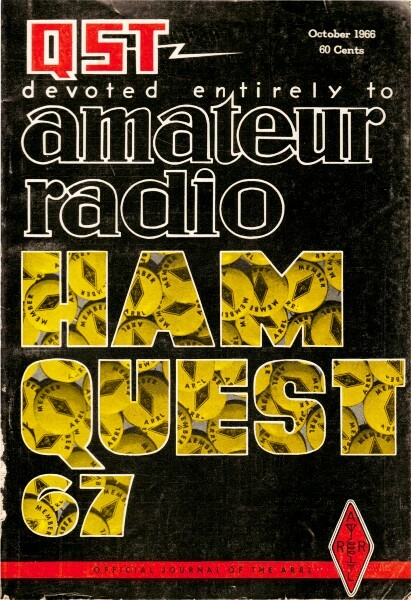 As would be expected, the nature of content has evolved over time to have the greatest appeal to contemporary readers. 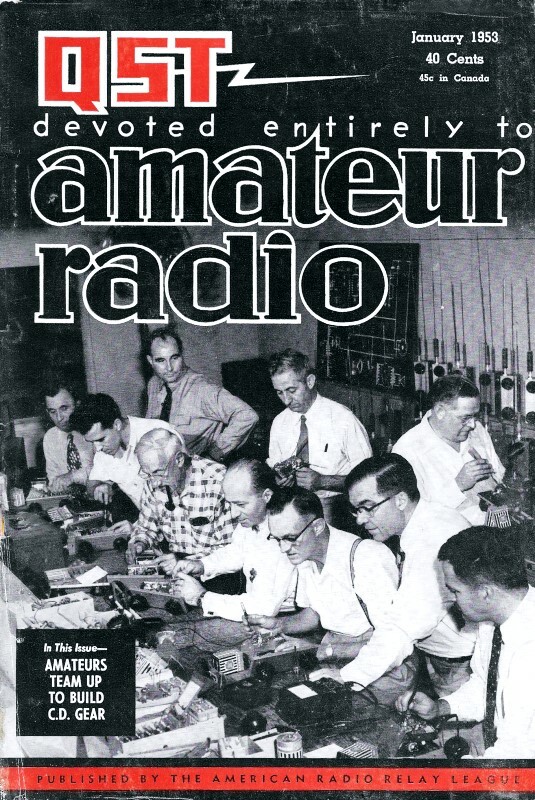 Correspondingly, reviewing past issues provides a peek back into history not only to learn of vintage equipment and events, but also it lets us see the difference in the nature of readers, most notably their expectations in content, prose, etc. 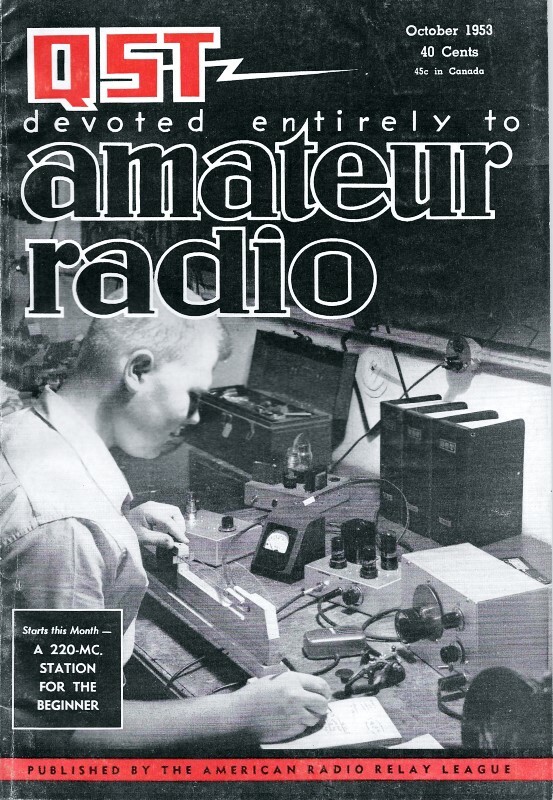 These articles were scanned and OCRed from copies of vintage QST magazines that I purchased on e-Bay. 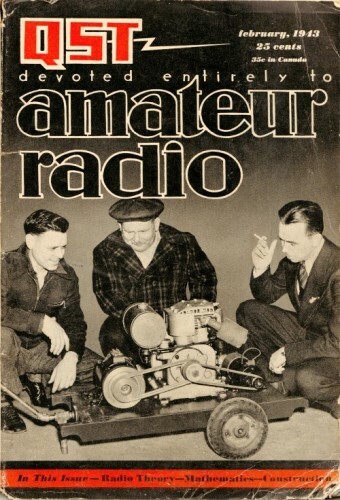 I took the trouble to OCR them in order to provide searchable text for people who are trying to find specific items: equipment, companies, friends, even themselves. 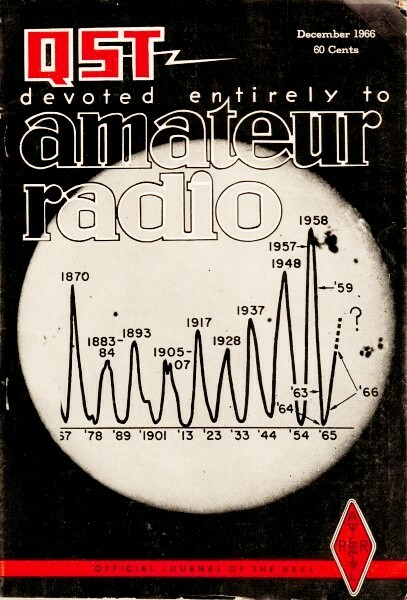 What Is This Thing Called Decibel? 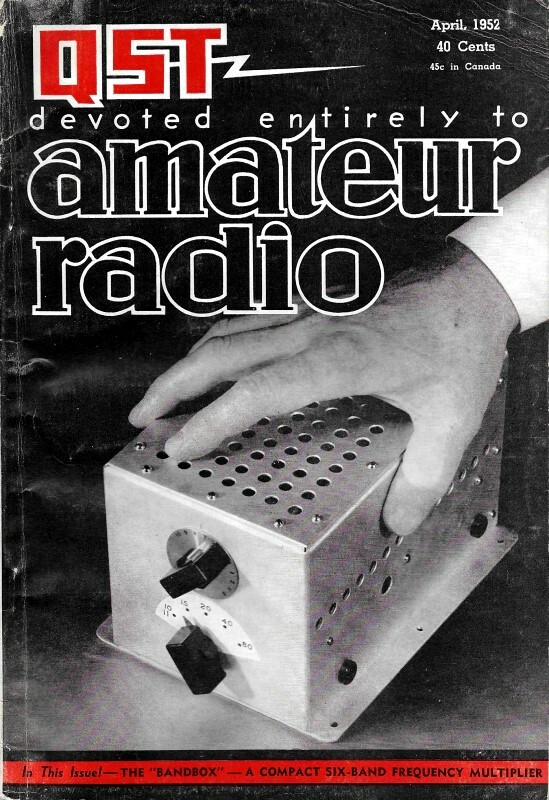 The Clapp Oscillator - and How! 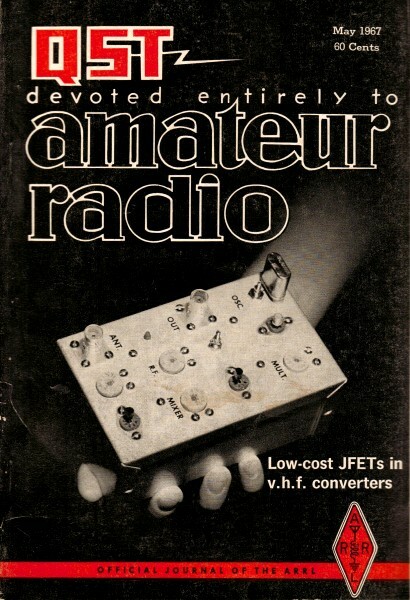 Resistance and Capacitance Measurements with the V.T.V.M. 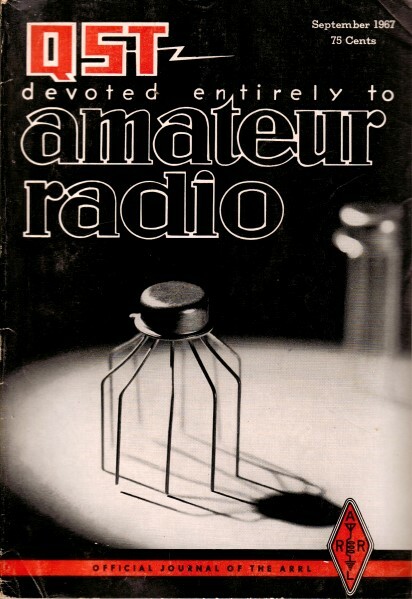 Electronics Poetry - "Power Supply"
A Circular Antenna for U.H.F. 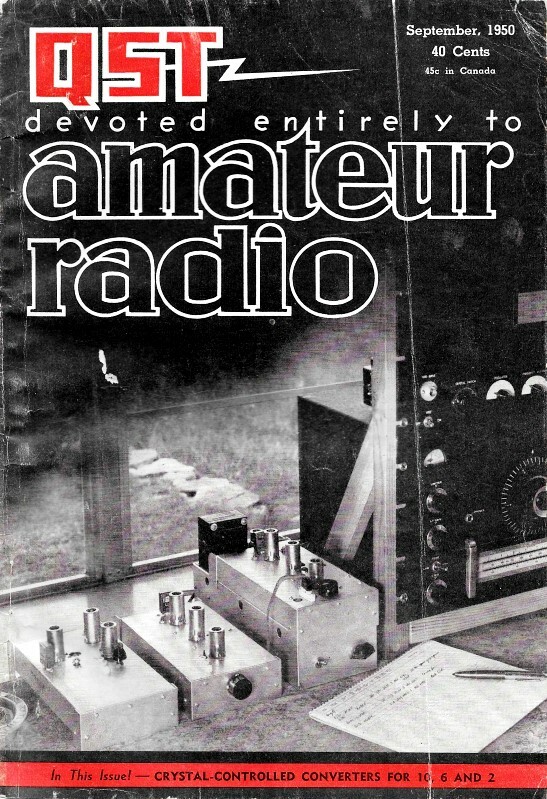 Leeds Advertisement - "The Home of RADIO"